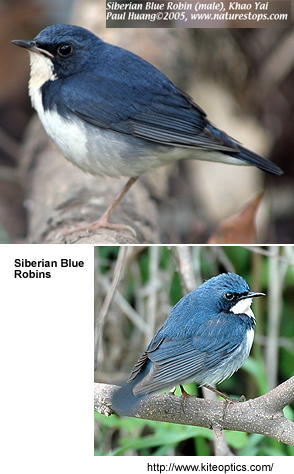 The Siberian Blue Robin, Luscinia cyane, is a small passerine bird that was formerly classed as a member of the thrush family Turdidae, but is now more generally considered to be an Old World flycatcher, family Muscicapidae. It, and similar small European species, are often called chats. Recent research suggests that this species is one of some East Asian Luscinias which should be classified in a new genus together with the Japanese and Ryūkyū Robins (Seki, 2006).